Sheridan High School's Design Team brought home several awards from the Arkansas Flower and Garden Show, held Saturday, Feb. 27, 2016. 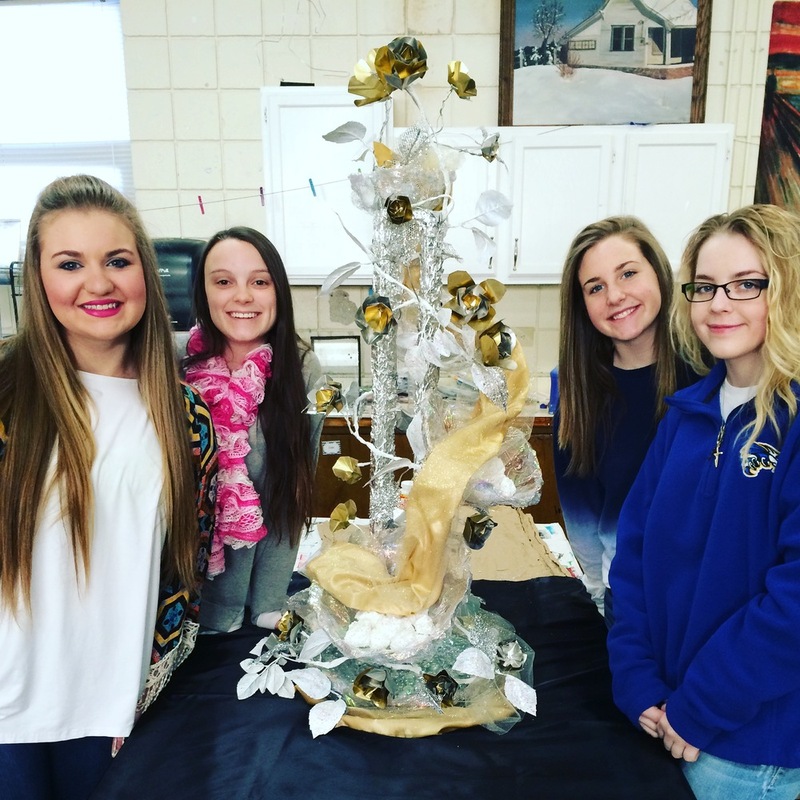 The team competed in the Arkansas Floral Association Table Top Design competition and were awarded a first place trophy, the people's choice award (voted on by the public), the upcycled award, and the Garden Club Favorite award. With these awards, the girls also received a $50.00 gift certificate for a pizza party and a gift basket. The students who participated under the direction of LeAnn Whitmire are Paige Walker, Scarlett Culpepper, Grace Pinkerton and Ally Nix.